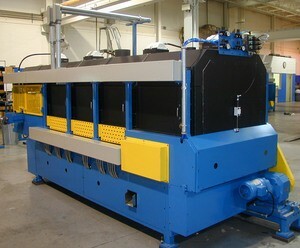 Corsteel’s scorcher machine is equipped with a conveyor type cooling system. 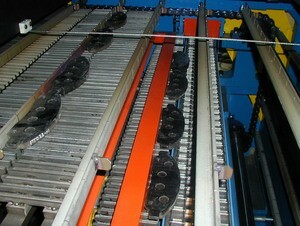 An automatic part transfer conveyor connects the scorcher and cooling units. This ensures maximum safety and protection by maintaining minimal operator intervention with hot parts. The operator of this machine is responsible for feeding the parts into the scorcher, and picking up batches of finished parts from the collection bucket at the exit end of the cooling unit.